Well, according to researchers, somewhere between 40 and 95% of life is attributable to habit. Lots of times, we think we are making a choice… but we are repeating our prior choice, over and over again. That would be a habit. Our lives are ruled by habit, from the time we get up until the time we go to bed… especially when we get up and go to bed! Which means that if we want to change our lives, we have to change our habits. Either breaking a habit or making a habit. Something has to shift for there to be a change. 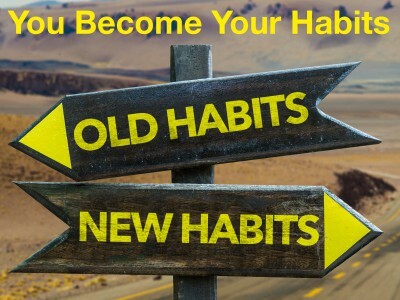 Which is why I created the series on habits. You can access each of the 6 episodes below.